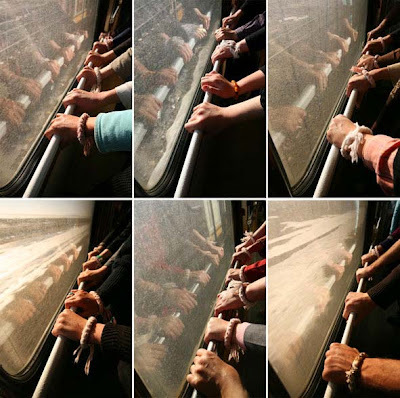 Beautiful, handcrafted fiber 'peace bracelets' being distributed by Iranian artists, Atefeh Khas and Tara Goodarzy. Atefeh and Tara have been reviving the domestic arts of their grandmothers and mothers via eco crafting initiatives meant to promote community building and environmental awareness. They are also part of the Iranian/Persian New Art Collective. Atefeh Khas and Tara Goodarzy will participate in the upcoming group exhibition that I am curating for GreenSpaces NY in TriBeCa called (Re)Fashioning Fiber. Details to come. 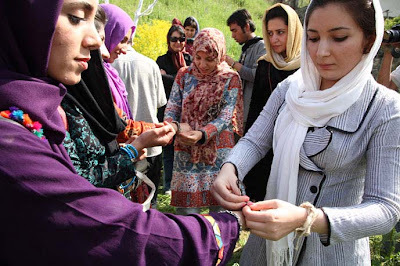 You can also read more about my involvement with the Paradise Art Center in Polour, Iran here.